French graphic and motion designer Zaven Najjar’s affinity for rap and hip hop music inspired him to create Rap Posters, a daily poster project featuring minimalist illustrations of different rap and hip hop songs. Each poster spotlights popular and iconic anglophone and francophone rappers, emcees and musicians through simple graphic interpretations. The posters also include a specific song title, the year that song was released and a line from the lyrics. Old school legends like Tupac, Public Enemy and Cypress Hill are included in the project, along with favorites like (the artist formerly known as) Snoop Dogg, Wu-Tang Clan, Kanye West and Nas. Oxmo Puccino, MC Solaar and Gil Scott-Heron are also impressive additions to the collection. 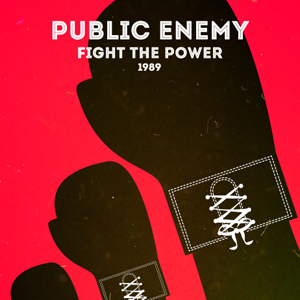 The project is updated daily on Najjar’s Rap Posters tumblr.